Games that have been updated by developers to take advantage of the new Xbox One X can display in native 4K with HDR on capable TVs. They may also have more consistently high framerates and improved textures, and all games will see improved load times. What does that really mean though for the current crop of sports games? And does any of that matter enough to justify the high $500 price? Assessing the Xbox One in its early days has involved Madden NFL 18, FIFA 18, NBA 2K18, Forza Motorsport 7, and Forza Horizon 3. The most striking difference came upon first starting up Madden NFL 18. At a now stable framerate of 60fps the cut scenes, replays, screen transitions, and even gameplay flow noticeably smoother. 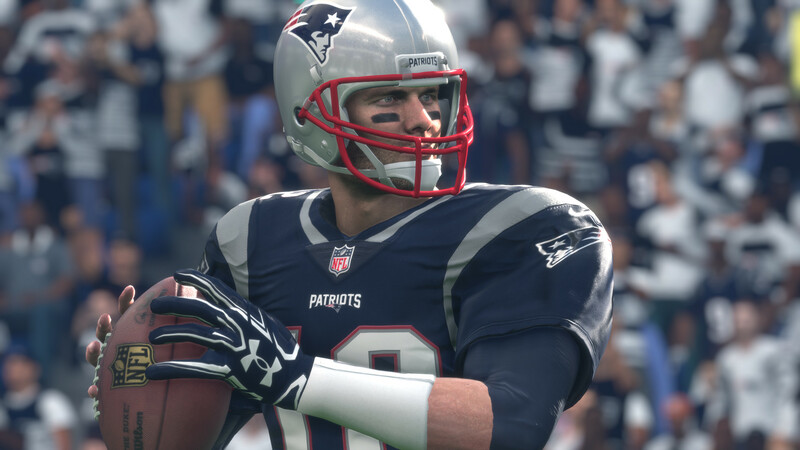 While Madden hasn’t necessarily been plagued by framerate problems on the original Xbox One, PlayStation 4 or PS4 Pro, clearly there was room for improvement that has been achieved on the XB1X. Other games tested like NBA 2K18, FIFA 18 and Forza did clearly benefit from the visual upgrades, their in-game performance however did not appear to be altered from that on the other systems. They did load faster in some places. For an analysis of all the loading time differences check out the article posted earlier. Madden NFL 18 has seen the most dramatic reduction in loading times. Think about how many instances a single consumer will load into and out of sessions over a title’s lifespan. A dedicated Ultimate Team player may load into hundreds of solo challenges alone for example. Having load times shaved by well over 50% is a big deal. Just take a look at the video below, which compares the loading process into a Franchise game with Xbox One X vs PS4/XB1. The games that have been enhanced for 4K and HDR look spectacular on the Xbox One X. You can see a few of the full size screenshots here and check out the full list of games. In addition to Madden NFL 18, FIFA 18, and NBA 2K18 there’s NBA Live 18 and NHL 18 which feature 4K but no HDR. Forza 7, Forza Horizon 3, and F1 2017 are among the racing games that take advantage. Upcoming sports games that will release within the next few months with Xbox One X enhancements include EA Sports UFC 3 and Ashes Cricket. Ultimately the Xbox One X will likely satisfy passionate gamers looking for the best experience possible. Visuals will always be somewhat subjective, but the 4K and HDR do make the games look fantastic. The speedier loading will save a lot of wasted time that would have accumulated. The Xbox One X isn’t a necessity for a sports gaming fan, but it’s great hardware that will likely see its advantages only grow in the years ahead.